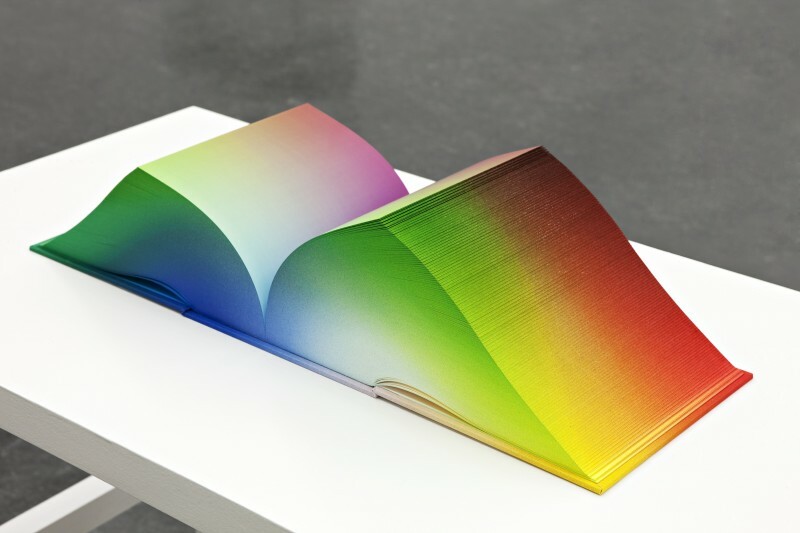 This colorful book series is one of my favorite pieces from the ongoing exhibition of Tauba Auerbach at Bergen Kunsthall, called Tetrachromat. 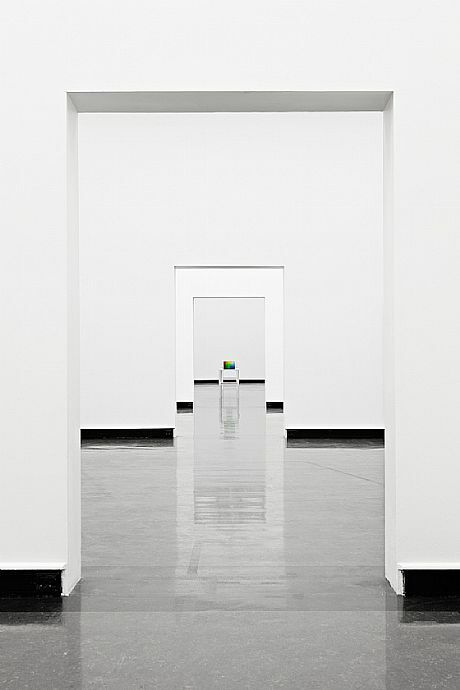 It will be open untill next 22th December, at Bergen Kunsthall, Bergen. 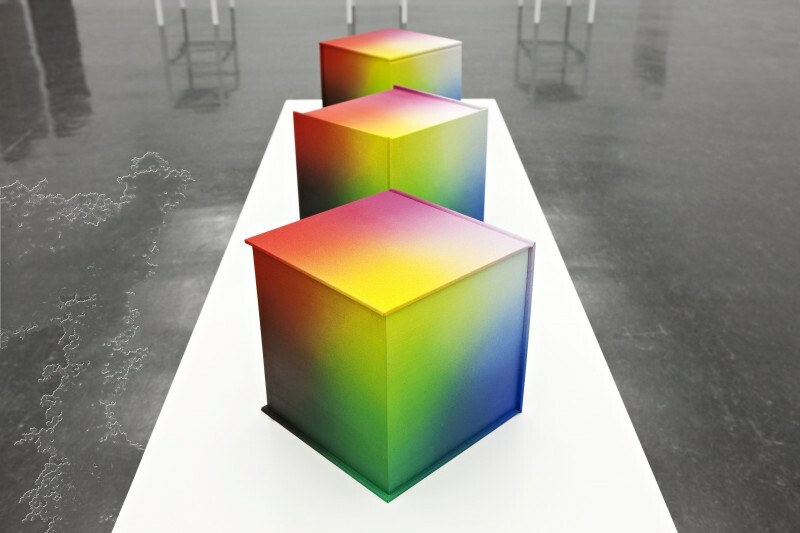 "The title of the exhibition plays on the notion of ‘tetrachromatic’ vision. People normally perceive the world around them trichromatically (in three colours). Humans have three types of receptor for the perception of colour with varying sensitivities: red, green and blue. A new theory exists that there may be a small percentage of people (only women) who have a fourth colour receptor, which makes them ‘tetrachromatic’. In order to play on such ideas of a fourth component which, if it could be proven, would radically change our view of the world, Auerbach employs two analogies in this exhibition – the spatial (the idea of a fourth dimension) and the spectral (a fourth colour spectrum). 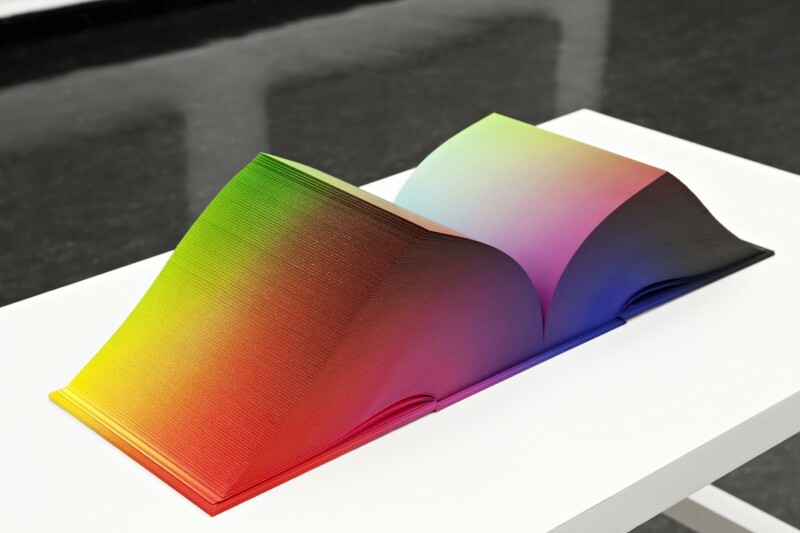 Tauba Auerbach has long worked with different types of book production. Recently these have developed into independent sculptural works that continue Auerbach’s research on multidimensionality and the importance of colour for spatiality. 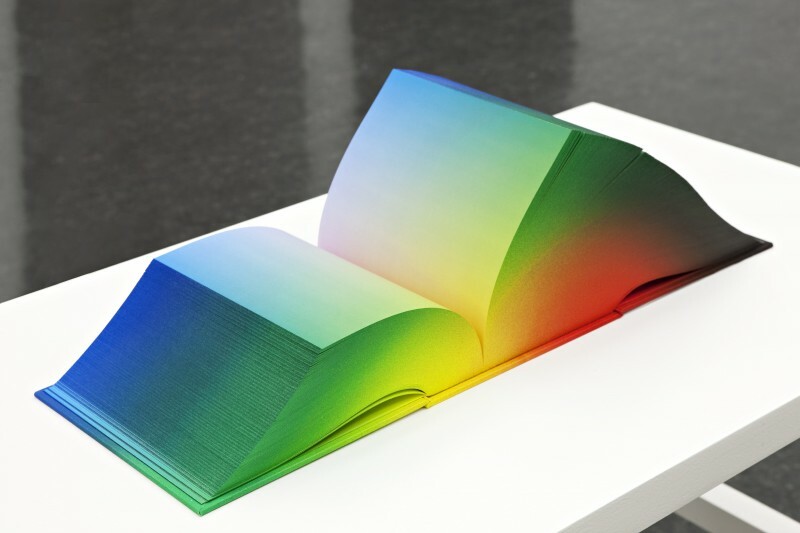 She presents several new book sculptures in this exhibition, and in a way these function as manuals for thinking about the project by constantly revolving around the question “How can we imagine what is impossible to sense?”"
See the complete press release and more pictures from the exhibition at Contemporary Daily and Bergen Kunsthall.